This article reviews from the Internet of Things the emerging concept of smart university. The purpose is to present the problem situation, justification, hypothesis and conceptual framework about the term and characteristics of smart universities published in the scientific literature, from which the role of the IoT is emphasized as a fundamental element in the conception and implementation of projects and initiatives that affect the successful development of these organizations. 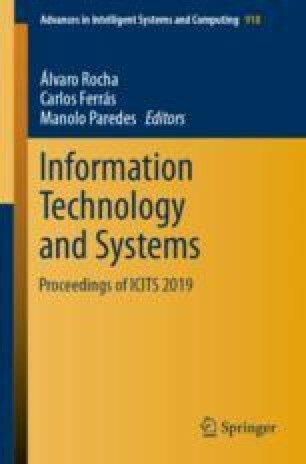 Authors would like to acknowledge the cooperation of all partners within the Center of Excellence and Appropriation on the Internet of Things (Centro de Excelencia y Apropiaciónen Internet de las Cosas, CEA-IoT). Authors would also like to thank all institutions that supported this work: the Colombian Ministry for the Information and Communication Technologies (Ministerio de Tecnologías de la Información y las Comunicaciones - MinTIC), and the ColombianAdministrative Department of Science, Technology and Innovation(DepartamentoAdministrativo de Ciencia, Tecnología e Innovación - Colciencias) through the National Trust for Funding Science, Technology and Innovation Francisco José de Caldas (Fondo Nacional de Financiamiento para la Ciencia, la Tecnología y la Innovación Francisco José de Caldas), under project ID: FP44842-502-2015.